Before there was Disney World, before there was Universal Studios, before there was Sea World, there was Gatorland. I recently had the opportunity to visit Gatorland and found it more enjoyable than I expected, it turned out to be a memorable way to spend an afternoon. One of the most impressive areas of the park was the breeding marsh, an area complete with boardwalk and observation tower meandering over a shallow lake while more than one hundred alligators swam or sunned almost within reach. It was almost impossible to walk so close to so many of these creatures and not feel at least a twinge of terror once in a while. The buzzards hanging around in the nearby trees did not do much to assail these feelings. Yet, I realized that as long as I stayed on the boardwalk, I would be safe. I was in no real danger of being attacked by these alligators unless I decided to dive into the marsh with them. There was zero chance of that happening. Yet, any fear of being devoured by an alligator would not be a rational fear. 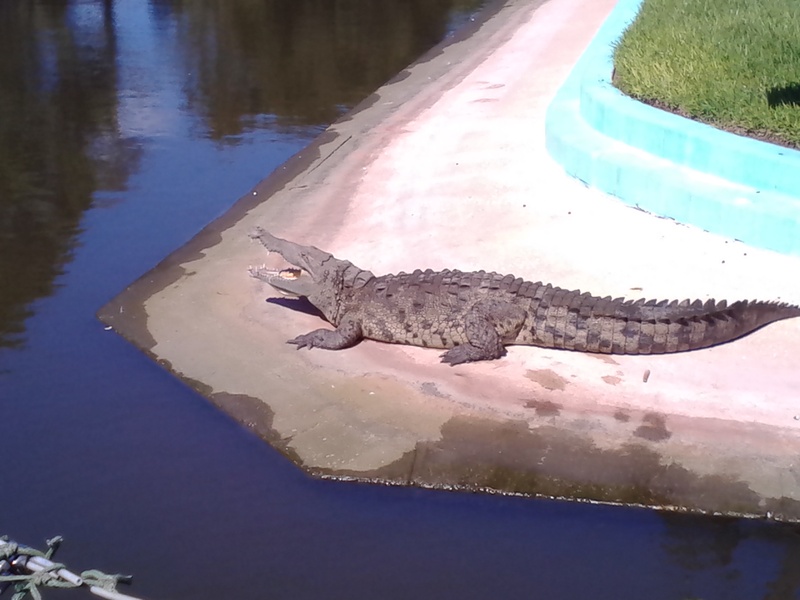 A quick internet search revealed that the last death in the US attributed to an alligator occurred in 2007. I would be much more likely to meet my demise at the hands, hooves, horns or teeth of many other creatures. Every year in the United States horses and cows kill more than twenty people. One hundred twenty deaths yearly are caused by deer, many through automobile accidents. Domestic dogs kill over one hundred eighty people annually. Of course, the odds of any of these animals killing me are obviously very slim. Often though we fret and worry more about being eaten by an alligator or being bitten by spiders than about things that have a much higher probability of happening to us. According to the CDC there are five things that perhaps I should be concerned with: heart disease, cancer, lung disease, stroke and unintentional injuries such as those on roads or caused by medication overdoses. Together, these five conditions cause almost two-thirds of all deaths in the country. So, perhaps I should not give those alligators a second thought and instead should pay attention to diet and exercise which really do have an impact on my health and wellbeing. This entry was posted in Humor on October 21, 2014 by Leonard.